Photo by Jim Lafferty for Pointe. Have you ever attended an audition and wished that you knew what the director was looking for? We've rounded up some of our favorite quotes from our Director's Notes column over the past few years to give you a deeper glimpse into the minds of 10 artistic directors. "I want to develop and nurture artists," says Wheater, seeking "people who are not afraid to be expressive, and understand all the layers that go into making a work above and beyond the steps." "I like athletic classical dancers, with very strong footwork and articulation," Lorentzen says. "But it's also about the feeling I get from them, who I think can adapt to the Norwegian way." A gentle presence in the studio, Kevin O'Hare was widely seen as a safe pair of hands when he took over as The Royal Ballet's director upon Monica Mason's retirement in 2012. A former principal with Birmingham Royal Ballet, a sister company of The Royal, he had danced much of the British repertoire; as The Royal's administrative director, he knew the London-based institution inside out. Yet when he was appointed, O'Hare quietly set himself a radical challenge: In 2020, for a full year, he intended to present only works created in the decade prior. "I think we can do it. We're on track," he says now with a laugh. "If we're not pushing ourselves, giving the dancers opportunities to create new roles, then there's no point in being here." That commitment to renewed creativity, balanced with a sensible respect for the British ballet heritage, has been the hallmark of O'Hare's directorship. Since he took the helm, The Royal has produced at least one new full-length ballet nearly every season, with hits including Christopher Wheeldon's The Winter's Tale and Wayne McGregor's Woolf Works, but not at the expense of his- torical works. A new generation of British- trained dancers has also emerged, nurtured by O'Hare to take over the repertoire. Ever since Wes Chapman’s appointment as Ballet San Jose’s artistic consultant last January—following the controversial ousting of founding artistic director Dennis Nahat—ballet fans have wondered what the reinvented BSJ might look like. The answer? A bit like American Ballet Theatre, Chapman’s one-time home. BSJ announced a partnership with ABT in December 2011, giving it access not only to the larger company’s teaching curriculum, but also to its coaches, costumes and sets. So in a way it’s not surprising that BSJ begins 2013 with three company premieres right out of the ABT playbook: the full-length Don Quixote (staged by Chapman) in February, and a repertory program that includes Sir Frederick Ashton’s Les Rendezvous and Thaïs Pas de Deux in March. Igor Stravinsky’s The Rite of Spring, with choreography by Vaslav Nijinsky, shocked balletomanes at its Paris premiere in 1913. A century later, Stravinsky’s score has become one of the most frequently choreographed pieces of music in the world. Ballet companies everywhere are celebrating Rite’s centennial this year with performances of old and new versions of the work. Particularly notable is Millicent Hodson and Kenneth Archer’s reconstruction of Nijinsky’s original choreography. The Joffrey Ballet will tour it in the U.S. in February and March and the Mariinsky Ballet will perform it later in the spring. Hamburg Ballet Brings Nijinsky to the U.S. The works of Batsheva Dance Company artistic director Ohad Naharin—rooted in his improvisational, imagery-driven Gaga technique—have become staples for many contemporary dance companies. But a ballet company tackling Naharin? That’s a very different story. South Africa seems like an unlikely place for ballet. But Cape Town actually attracts its fair share of top talent, especially since the inception of the Cape Town Internationl Ballet Competition in 2008. Royal Ballet director designate Kevin O'Hare, Washington Ballet director Septime Webre, National Ballet School of Cuba director Ramona de Saá and other powerful players will be there this spring to judge promising young dancers from around the world. Awards: Gold, silver and bronze are named in each division for women and men in classical and contemporary. Monetary awards come with the prizes. One winner is selected to compete in Youth America Grand Prix finals in New York. What's Kevin O'Hare planning to do with The Royal Ballet? A video feature published today by online magazine Crane.tv interviews the new artistic director about his vision for the company. Get a peek inside the Royal's studios, hear O'Hare's plans for the future and watch footage of the dancers performing a number of ballets, including a new Wayne McGregor work. It's like a 3-minute trip to Covent Garden. Is ballet's post-Balanchine choreography rut finally over? Roslyn Sulcas, a contributor to Pointe, argues today in The New York Times that it is. She points out that works by Christopher Wheeldon, Alexei Ratmansky and Wayne McGregor offer a completely new way of using the classical vocabulary. There's also a whole generation of imaginative choreographers who came out of William Forsythe's company: David Dawson, Crystal Pite, Jacopo Godani, Helen Pickett, Jorma Elo, Emily Molnar—a group that's exceptional not only for its prolific creativity, but also for its large number of women. 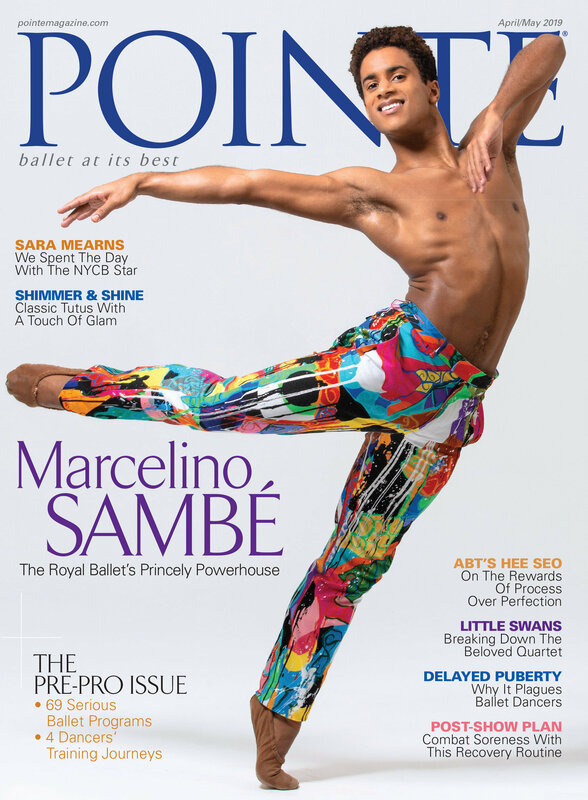 Just in the past couple of years we've seen two newbies with exceptional promise: Justin Peck at New York City Ballet and Liam Scarlett at The Royal Ballet.